Get the highest value for your diamonds, jewelry, gold and entire estates. We offer a rapid, fair, professional and risk-free venue where you can sell your jewelry. It is very important to understand that evaluating your items properly is essential in getting you the highest value. 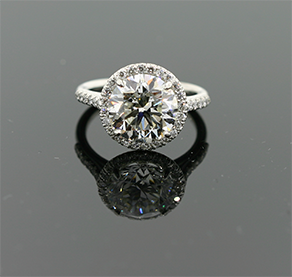 Our extensive experience allows us to recognize the value of certain items that many other jewelry buyers will overlook. Our vast resources allow us to offer you the highest prices for your valuables. Robert Currens Fine Jewelry & Custom Design has been purchasing estates, jewelry, diamonds and gold for over 8 years. Along with our excellent reputation and knowledge, we are a trusted member of the Jewelry industry. We make it simple – set up an appointment, come into our secure location, and Robert will give you a free appraisal and value for your items. If you decide to sell your jewelry, diamonds or gold, you will be paid right on the spot.